Brand new from the creators of Trunki, this super cute ToddlePak backpack range is designed for making trips to pre-school or nursery, safe and fun for little tots! 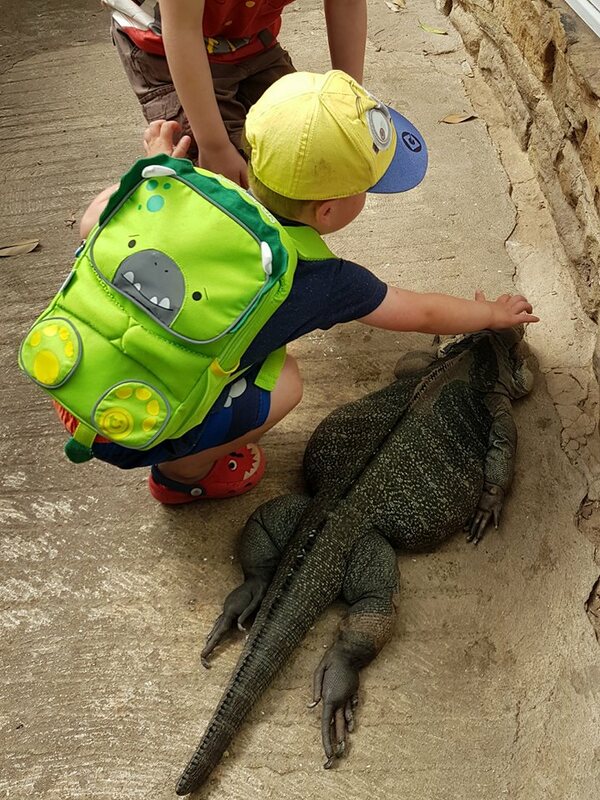 … With a spacious 4 litre capacity and easy to reach front face pouch, each ToddlePak backpack comes with, an easy to grab handle, padded adjustable shoulder straps and chest strap, smiley hi-visibility nose, reflective piping around the paws, wrap around arms, so that their favourite teddy can hitch a ride, little ears, and a little tail. 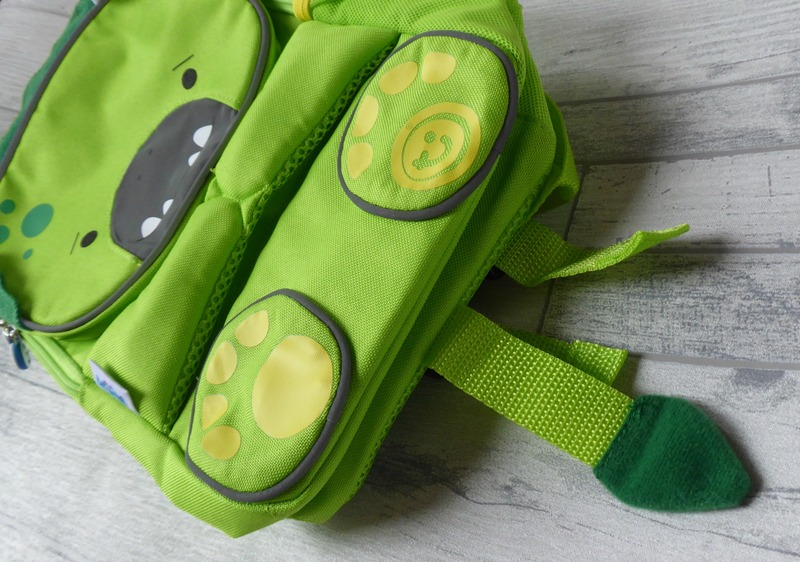 There are five super cute designs of the Toddlepak; Betsy (pink), Bert (blue), Dudley the dinosaur (green), Leeroy the lion (yellow), or Tipu the tiger (orange). I let Noah choose his own design for this review; immediately he went for Dudley the dinosaur (that would have been my choice too!). 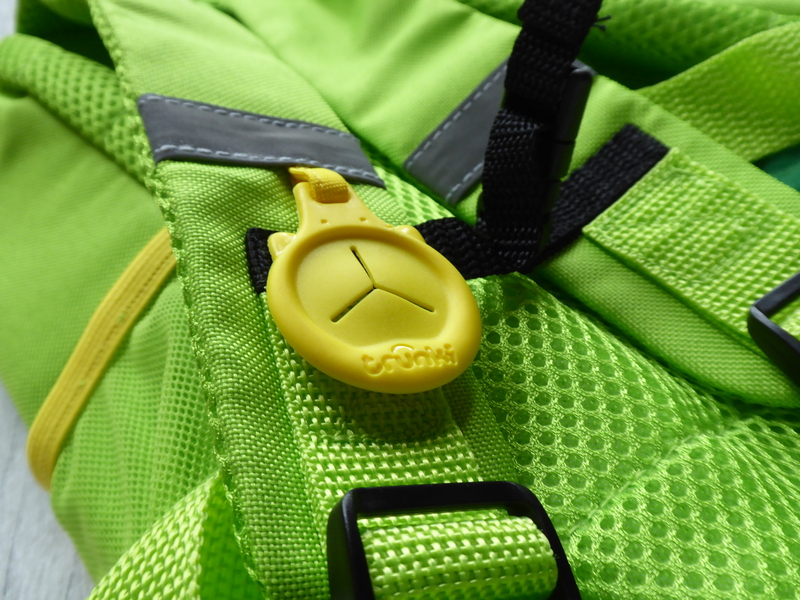 Safety is the main aspect of the Toddlepak, with each design featuring a hi-visibility reflective nose and piping. We haven’t actually tried this out in the dark yet but it is very shiny in the light, so it certainly looks like it will be super safe for autumn and winter. One of my favourite features is the hugging arms; very useful for baby Bruno to hitch a ride at Truckfest! 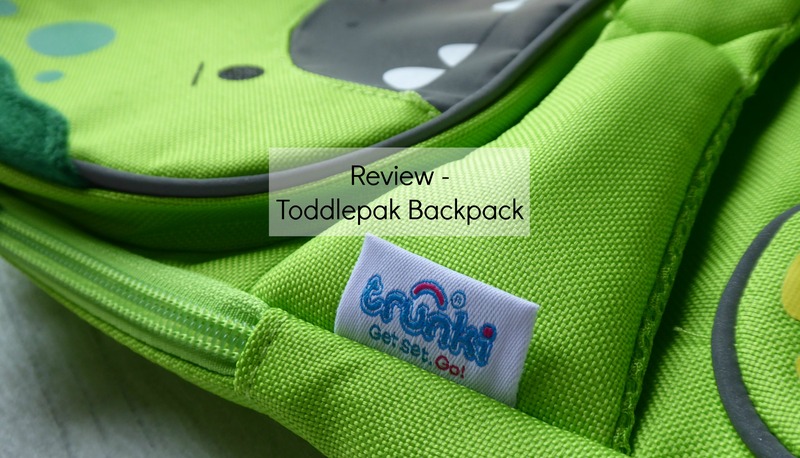 The chest strap of the Toddlepak ensures that the backpack stays safely on Noah’s shoulders; he finds it easy to fasten and unfasten himself too. The Trunki grip™ also enables him to hang his sunglasses so he doesn’t lose them. 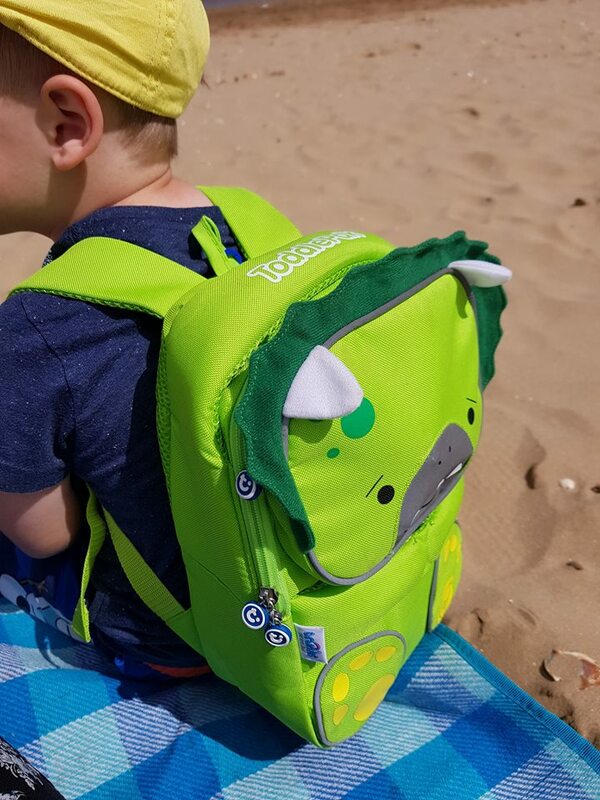 Other features of the Toddlepak include a face pouch on the front, to store those essentials like baby wipes or snacks; a large carry handle for when N decides he wants an adult to carry it (though, not very often! ); a side mesh pocket for a drinks bottle; and a very spacious main pocket. We can easily fit 3 or 4 nappies, a pack of baby wipes, a change of clothes, and a couple of snacks or toys. Also, how can I forget the ears and tail?! Trunki have really gone to town on the design, which I think is brilliant. I’d certainly be happy to purchase another one of these for Jacob, I think it’s really great value for money. I’m super pleased to be able to offer one lucky reader the chance to get their hands on their very own Toddlepak! Just enter via the Rafflecopter below, and good luck! The blue one would be perfect! Blue or pink depending who I would give it to. Dudley the dinosaur – his teeth are so sweet! We would love to choose dino for our nephew. I will choose the Pink Toddlepak Betsy. Wonderful prize. 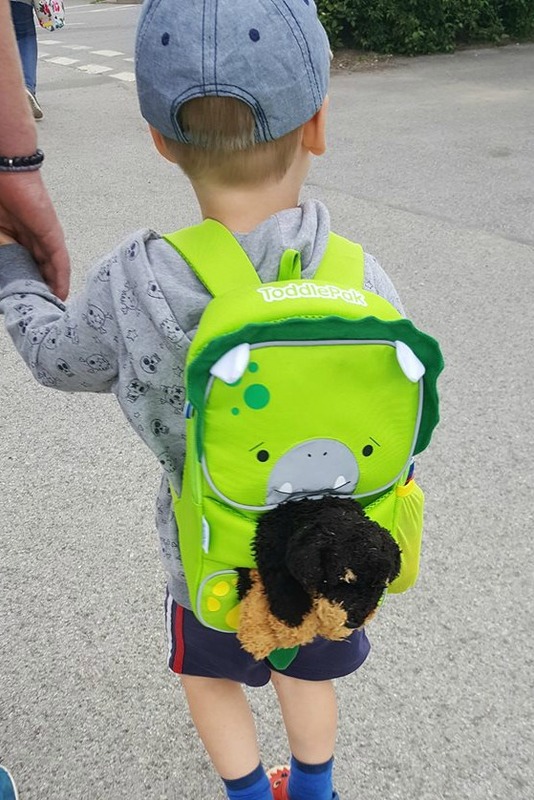 Toddlepak Backpack – Bert is cute! The blue one for my boy! Tipu Tiger is so cute! Fingers crossed! I’d probably go for the Leeroy the Lion backpack. The yellow lion for my daughter! The yellow lion would be my choice if I won. We would be thrilled with either Leeroy or Tipu. Thanks. I’d love the orange Tipu the tiger for my daughter. I would choose the little Tiger 🙂 Very cute! I would choose Bert the blue one – he is lovely! I love Tipu the tiger. I think i would have to pick Betsy although they are all lovely. My daughter would love the pink one. My daughter would love Betsey! My daughter loves dinosaurs, so Dudley the dinosaur it is. I would pick Dudley the dinosaur, as I no my little boy would love it! The green would be perfect! Leeroy the Lion – he’s gorgeous! I think Bert is lovely. Bert (Blue Trunki Toddlepak Backpack), looks like a Bear. I’d love the Tiger one, please.